Because one size doesn’t fit all, especially when it comes to a child’s learning. Our Alternative Learning Guide is here to provide you with alternative schooling and academic support options, extracurricular classes, resources, and supplies for home schooling families. Any family who is a resident of Calgary may register with the CBE Home Education program. Through our Windsor Park location, we offer both a parent-directed and a variety of blended program options to families who wish to be responsible for developing, administering, managing, and evaluating a program of educational studies for their child. For inquiries about registering, please contact us. If you love to sing or would like to learn, check out the Calgary Children’s Choir. This unique choral experience offers children ages 3 to 24 the opportunity to sing, perform, and appreciate a wide variety of musical styles. There are no fundraising requirements - it is a place to learn and have fun. Touring is available for eligible choristers. The Calgary Music Academy has been providing in-home private music lessons since 1995. We offer classes in piano, violin, guitar, voice, flute, and theory. Classes are for all ages, levels, and we teach all genres of music. We prepare students for the RCM exams and will help you get extra high school credits. For more information, call 403-615-3180. For more than 20 years, Calgary Young People’s Theatre has provided youth ages 4 to 17 a variety of exciting opportunities to participate in the performing arts, explore creativity, and develop teamwork skills. Calgary Young People’s Theatre offers summer camps and year-round classes in both the North and South Calgary locations, as well as a season of family-friendly productions starring young actors. Gain confidence and hone your theatrical skills all at once. Act. Learn. Play. Grow. Come sing with us, the music experience of a lifetime awaits! Cantaré Children’s Choir invites boys and girls ages 6 to 18 to join one of our four award-winning ensembles led by Artistic Director Catherine Glaser-Climie. Enrich the life of your child through the power and wonder of music. Younger singers, ages 3 to 7, are welcome to join our Kodály Early Childhood program. No prior musical experience necessary! Kodály Music Explorers program for children ages 3 to 7 offers a fun-filled approach to your child’s music development. Using the child’s own instrument, the voice, children learn songs, rhymes, and musical games to acquire knowledge and skills, and a love of music. You will be thrilled at how quickly your child can progress. Private music lessons for ages 5 through Adult. Two locations offering Piano, Keyboard, Organ, and Accordion since 1979. Popular, Classical, and Theory programs with exam preparation from qualified teachers. ‘Beginners Trial Program’ also offered! Package includes loan of instrument, lessons, and music book. Call for more information or to register. Music makes great kids - kids make great music! Kids & Music is an innovative, dynamic, child-centered program with a fun approach to music education. No auditions, small classes, and a unique curriculum instilling a lifelong love of music. This four-level program is the first step in the Youth Singers of Calgary Performing Arts Company with divisions covering all ages from pre-Kindergarten to Adult. Register today! Music lessons for every age, level, and style. At Long & McQuade, we believe every person is capable of acquiring the skills and knowledge required to make playing a musical instrument a rewarding activity. We have a wide variety of carefully-chosen professional instructors offering year-round music lessons. Private and semi-private lessons, and several group programs such as “Rock Skool” and preschool classes available. We provide the best quality music education to young children by blending the pleasure and the joy of music-making with sound instruction. In 1980, Frances Balodis set out to create a comprehensive music education program tailored to the strengths and abilities of young children. Today, Music for Young Children® has more than 24,000 students annually, 900 teachers, and is taught on three continents. MYC is the only early childhood method that integrates and actively uses conservatory repertoire and theory to prepare our graduates for their first practical and theory exams. Find a teacher near you using the website. If you are a home school family looking for music lessons, School of Rock is the solution! Group music classes for ages 6 to 16. Beginners welcome. We teach guitar, bass, drums, vocals, and keyboards. Band practice and live performances. Daytime classes available. Come Rock with Us. Contact us for more information. Solfeo Music Academy brings better music to the world, one student at a time. Different students require different teaching approaches. Make sure that your student has the option to select the learning style that is best suited for them. We offer 30-minute, 45-minute, and one-hour lessons, private lessons, and 45-minute group lessons. Our music teachers have university training in the instruments they teach. Register now. Soundability Studios is pleased to offer quality music education to students of all levels in piano, voice, ukulele, guitar, bass, violin, viola, cello, double bass, flute, oboe, clarinet, and saxophone. We offer a variety of practical and academic programs, each customized to the learning style and needs of the individual student and environment. We are also a service provider for The Centre for Learning@Home. Located in Northwest Calgary, we provide professional, affordable classes in art, dance, drama, and music for students ages 3 to Adult. We also have a top-notch children’s and youth choir! All of our instructors are trained and practicing professional artists. We hope you will join us this year for one of our private or group classes! If you love to sing, join our choir: The Kairos Young Singers! WP Puppet Theatre is a touring company - we come to you! Artistic Director Wendy Passmore-Godfrey, an award-winning educator, can customize workshops, residencies, and PD sessions (Kindergarten to Grade 12) to meet your classroom’s needs and goals. Our View from the Inside program is a series of workshops which explores mental wellness and personal identity (High School and Junior High). Our current production, Pigs in a Canoe and other Watery Stories, (Kindergarten to Grade 6), links curriculum from art to science. Stay tuned for our new puppet play, Finding My Song (Kindergarten to Grade 6). Young Rembrandts teaches drawing, the fundamental skill of all visual arts. We offer child-friendly, relevant subject matter to spark children’s interest. Our classes are fun, engaging, and affordable, offering children a safe, comfortable place to learn drawing skills and have fun while surrounded by creativity and encouragement. Children taught using our method develop increased patience, discipline and focus, drawing and art skills, and expanded creativity, imagination, and confidence. Birthday Parties, Classes, and Special Events! Evolutions School of Dance strives to provide students of all dance forms with the skills and experiences to become strong, confident, and accomplished dancers in a professional atmosphere of positive learning and encouragement. Offering classes for all ages, experience, and abilities in various genres including ballet, jazz, preschool dance, Mommy & Me, and more! Centrally-located just three blocks east of Chinook Centre! Come join our family! Learn the love of dance. Get physical exercise! Learn new things. Challenge yourself. Meet new people and get moving! Come have fun with us! Let us know you saw this ad and your first class is free! Pure Motion Dance Company is Calgary’s most innovative and fastest growing dance studio where every child can explore the world of dance for its Pure enjoyment and personal artistic expression. We provide students ages 2 and up with exceptional dance instruction through proper technical training in a fun, creative, and positive environment while promoting the importance of a healthy and active lifestyle. Gymnastics and dance programs for all ages and levels, from beginner to competitive athletes! Our skilled coaches and training staff benefit children and athletes of all types. Experience social development, increased confidence, and improved athletic performance. 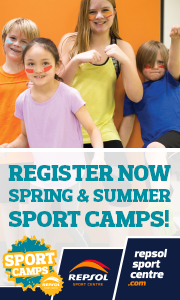 We also offer Gym-fusion Performance Team, Ninja-gym, GymJump, and a range of specialty programs and fun camps! Safety is our priority, followed by our commitment to offer quality programs that build lifelong athletes. We offer preschool, recreational, and competitive gymnastics and cheerleading. Conveniently located at Memorial Drive and Shaganappi Trail. Calgary’s longest and most experienced Cheer Program in Calgary, cheering over 13 years strong! Day camps also available. Our experienced instructors will make sure it is an experience your child will flip over! Our facilities and programs are innovative with a huge wow factor! Quality instruction in gymnastics, circus arts, trampoline, parkour, and stunt training. Programs for toddlers to adults, beginners to former competitive athletes wanting to bridge the gap to high-level circus or stunt training. Our facilities are clean, safe, and welcoming. We have a full array of circus and gymnastics equipment, several trampolines, climbing wall, and foam pit. Flip Arts has an engineered aerials system, black box performance space, and Alberta’s only trampo wall. Flip Café & Tot Spot is a drop-in preschool gym on our second level. Check us out! A martial arts program gives a child the mental and the physical skills to succeed in everything they do. Our children’s program is challenging and fun while encouraging every student to strive to do their personal best. In addition to Physical Skills, we teach Life Skills such as Discipline, Goal Setting, Confidence, Leadership, and Respect. Students learn to set and achieve goals, while building self-esteem in a fun, safe, and educational atmosphere. Our instructors are role models that will help give your child the extra edge to succeed in life. We are an Official World Taekwondo Federation School recognized by Sport Canada and the Olympic Committee. Our Martial Arts program is designed to help children develop confidence, perseverance, self-discipline, integrity, and courage that leads to success in relationships, school and, ultimately, in life. We offer an extremely flexible schedule in order to suit your family’s needs and provide a positive, fun learning environment for our students. Master Joo-han Cha, 6th-degree black belt, M.Sc., B.Phys.Ed., combines his competition success, coaching experience, and academic credentials to offer year-round, high-quality Tae Kwon Do classes for all ages (3.5 years+) and for all abilities. A four-time Korean National champion, Master Cha has the competition and coaching background to build future champions, as well as the energy and enthusiasm to lead classes that children and parents will love. No two days in Guiding are the same! With the widest range of activities and units in every community, Guiding gives girls a chance to try different experiences every time. If your daughter is looking for fun and friendship, make sure she joins us today. Girls ages 5 to 17+ welcome. Women Leaders are needed in all communities. Volunteer today! Calgary’s two best and biggest indoor climbing facilities, friendly staff, varied terrain, birthday parties, beginner lessons for all ages, kids climbing camps, youth and adult drop-in times, junior clubs and teams, corporate team-building, basic to advanced instruction, movement clinics, private coaching. Two convenient locations (Stronghold NW and Chinook SE). Wymbin is a Youth Yoga studio offering classes for kids, teens, and families. We also host an Early Childhood Education program, workshops, party nights, camps, birthday parties, and more! Our studio is located in the heart of Inglewood, underneath Junction 9 Yoga & Pilates, so parents are able to attend a Yoga or a Pilates class while their littles practice downstairs! Please contact the studio for information. Daytime classes for alternative learners are also available! We offer math and computer coding programs to help students of all levels. We help students to realize their dreams of going to top-notch universities of their choice and/or to win top awards in intermediate to advanced level of math competitions. It is our goal to help students to build a solid math foundation, which is beneficial to their whole life. We provide various scholarships including full amount scholarship and principal scholarship to support students. We welcome your kids to study math and participate in various math contests at Calgary Olympic Math & Computer School. The Waldorf approach recognizes that children have distinct, age-related educational and social/emotional needs, which unfold through stages of their development. The Edge School mission is to build a culture of personal excellence in academics, athletics, and character. We continue to get strong academic results, our sport programs are clearly helping students to reach their athletic goals, and character development remains the cornerstone of all that we do. Trinity Christian School is an alternative program with the Palliser Regional School Division offering excellence in academics in a faith-based learning environment. Partnering closely with the Christian home and church, Trinity Christian School will lead children to be the best they can be in a Christ-centered community. Join us on Welcome Wednesdays to learn more about Trinity Christian School as you’re considering the best fit for your child’s education. No appointment necessary. Located a few minutes south of Calgary, Strathcona-Tweedsmuir School develops well-balanced students in Kindergarten to Grade 12 for a life of purpose by inspiring excellence in scholarship, leadership, and character. Phoenix Education Foundation is an Alberta-accredited private, non-profit, independent school. Phoenix engages Kindergarten to Grade 9 students in parent-directed or school-directed programming to fulfill the Alberta Education curriculum. Phoenix offers Alberta’s only Kindergarten program for home schooling families, BlendEd and home education options for Grades 1 to 9, and ‘In-the-Scene’ classes in the Creation Studio, giving students immersive instruction in Science, Math, Language Arts, Social Studies, and Fine Arts. Kinderhaus Montessori is committed to providing a quality Montessori program for your child. Our curriculum and the prepared environment fosters within the child a positive attitude, a love of learning, self-motivation, respect for others, leadership, and educational confidence all of which provides a solid foundation for your child’s future academic and social success. Spanish and Music offered. A unique and integrative preschool program for children ages 2 and 3, nestled in the Springbank Hill/Aspen community and the Inglewood/East Village community, providing a comprehensive academic and artistic curriculum utilizing the best of Montessori, Reggio, and Arts education. Our 8:1 ratio provides your child the individualized attention they deserve. Other features of our program include STEM, literacy, math, Spanish, professional music education, lunchtime arts and sports programs, outdoor garden, and field trips. Visit our website or call us to schedule your classroom visit today. North Point School for Boys taps into boys’ natural curiosity and energy as a foundation for lifelong learning. A strong academic program is just the beginning - we fuel motivation through real-life learning, digital platforms, our trademark 5R character education, fine arts, and outdoor adventure developing well-rounded, self-motivated, independent learners. This Kindergarten to Grade 9 curriculum is enhanced through our Engineering Academy, Financial Academy, and the optional PEP Hockey Academy. MMEC is an independent Montessori school delivering an authentic Montessori experience for children ages 19 months to Grade 9. We have two convenient locations: one in Southwest Calgary and one in Northwest Calgary. We offer engaging, inspiring, and self-directed programs. We provide a supportive and welcoming environment for the whole family. Family-owned and operated. Celebrating 38 years! We offer seven locations with a Montessori preschool program within our full-time/year-round daycare program. Infants, Toddlers, Preschool, Daycare, Kindergarten (September to June through Alberta Education) as well as School-Age Care. An internationally-recognized leader in hands-on learning with Lego® and Robotics for children ages 3 to 13+, we offer in-depth curriculum and proprietary designs that align with Alberta Education standards. Our trained educators provide flexible home, facility, or community-based options in an inquiry-based format that engages learners and supports whole child development. Use the power of your free Calgary Public Library card to access thousands of items - from books and magazines to streaming services and in-library programs. Students in Grades 1 to 12 can find e-Resources to help with every school subject at calgarylibrary.ca/students. Or visit us at any of our 20 locations or online at calgarylibrary.ca to discover more! Looking for fun, enrichment classes for your kids? Idea Lab Kids provides classes, camps, and party experiences based on the STEAM (Science, Technology, Engineering, Arts, and Math) principles. At Idea Lab, children learn through hands-on activities utilizing critical-thinking skills and a great deal of imagination! Classes are developed throughout the year, and programs are rolled out to all of our locations. Ignite your child’s curiosity with STEAM programs that are fun! Inspiring and sharing the passion of STEM (Science, Technology, Engineering, and Math) through innovative, hands-on learning. With small class sizes and professional engineering instructors and mentors, we provide a uniquely diverse and inclusive setting where budding scientists (ages 6 to 18) have access to state-of-the-art equipment including robotics, 3D design printing, and much more. Roots 2 STEM offers Junior Engineering year-round study programs, in-school education programs, and field trip class visits to our 4,000 square foot laboratory.